Add In-Video questions to your video that will pass directly back to your gradebook. To set up VidGrid’s Canvas video quizzing integration, you’ll first need a video with quiz questions on VidGrid. In Canvas, go to “Courses” and click on “Assignments.” From here, add a new assignment, and name the quiz. Scroll down and select the number of points you want this assignment to be worth. The total points available will be divided by the total number of questions to get the point value for each question. Select “External Tool” from the drop-down, click on “Find,” scroll down and choose “VidGrid Interactive Quiz.” Then, configure your “assign” settings, scroll down to the bottom, and hit “Save and Publish.” You’ll be prompted to attach a video to your assignment. Select your VidGrid video with the quiz and attach it. When the students go to play the video, they'll be notified that they need to watch the entire video to complete the assignment. When the quiz question pops up, they'll have to respond to the question before they can continue. When they hit “Submit,” their video will be completed and officially submitted. As an instructor, you can go into the feed grader to see the responses of students who have taken the quiz. Now when the student logs into Blackboard and clicks on your assignment, they'll be presented with your video. They'll click play, answer the questions, and when the video completes, it'll be put into your gradebook. To look at the grade, from your course management page, click on the grade center, and go up to the Blackboard quiz to find your question answered. 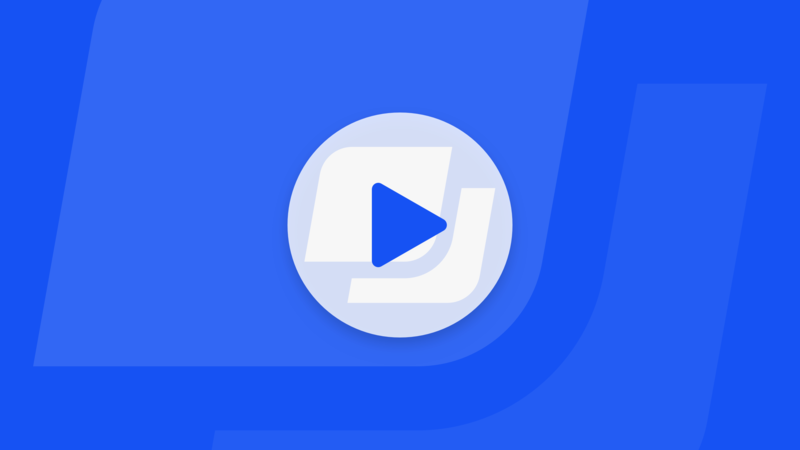 Now, select a video that you’ve added questions to. On the next page, confirm that this is the video to attach to your quiz. Here, you can see the questions currently on your video and change or remove the default instructions shown below it. Then, attach the video to the assignment. You'll get a message that the video has been attached, and that this is the video your learner will see when they take your quiz in Moodle. Students will click on your quiz, see the quiz on-screen, read your instructions, and play the video right within Moodle. The question will pop up on the screen for them to answer. They’ll also see your feedback after answering the question. When the video is completed, it'll automatically pass to your grade book, where you’ll see who took your quiz and how many points they earned. Save time by not having to recreate the same question for every video you make. Once you have created your question and saved it to your video, you can also save the video to the Library. 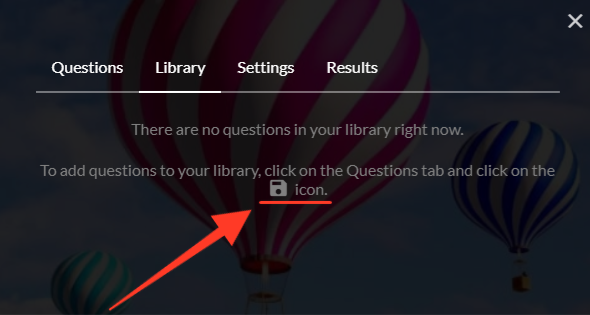 From the Questions tab, add a question, save it, and click the icon to add question to library. To add your questions from the Library to your video, click the + icon where you would like to insert the video. You can make changes to the question before saving to the video.